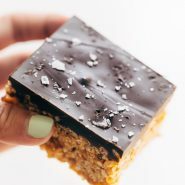 The classic chocolate covered peanut butter rice krispie bars, but with minimal refined sugar thanks to a few modern swaps. 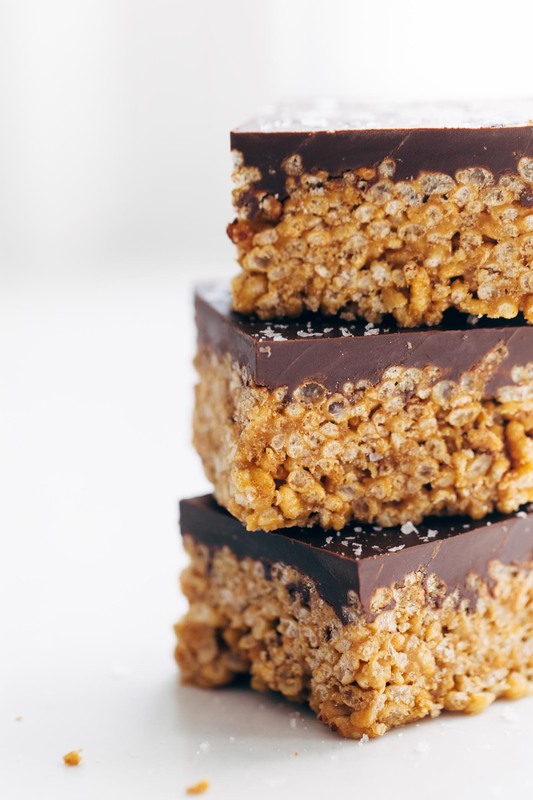 It’s a peanut butter meets chocolate situation, so obviously, your people will love you. Here’s an original scotcheroo recipe for the sake of comparison. This post contains affiliate links to the brown rice syrup and flaked sea salt on Amazon! The post Modern Scotcheroos appeared first on Pinch of Yum.